From our humble beginnings in 1999, Daytona Sportswear has grown into Daytona's premiere, state-of-the-art screen printing and embroidery facility. From early on, it has always been our #1 goal "To give you, the customer, quality products and excellent service at a fair price". That commitment over the years, has fueled our growth and evolution in the industry, expanded our clientele, and shaped and molded us into who we are today. Our outlook is that screen printing and embroidery... is an art form. All our products are printed with care to achieve the very best quality possible, while maintaining competitive prices, and quick service. Our in-house art department can develop unique and custom designs tailored for your specific needs. With Daytona Sportswear, the colors are vibrant, the art is crisp, and the print is soft to the touch. As we continue to grow, we are always looking for the best possible way, as well as the most cost effective way, to add your logo or design to any product. 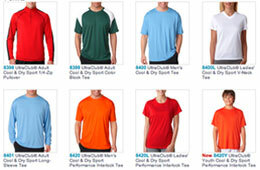 We carry a wide variety of name brand apparel such as Gildan, Fruit of the Loom, Jerzees, Hanes, Dickies, Bella, Outer Banks, Flexfit, and more. We invite you to visit our large showroom, at 712 N. Beach Street in Daytona Beach, FL. There you can pick up a complimentary catalog, browse products, meet the sales team and our mascot Huckleberry, and explore all the newest and best ways to "Get You Noticed!". 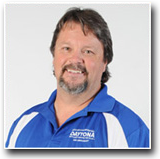 We look forward to speaking with you soon, and thanks for choosing Daytona Sportswear.